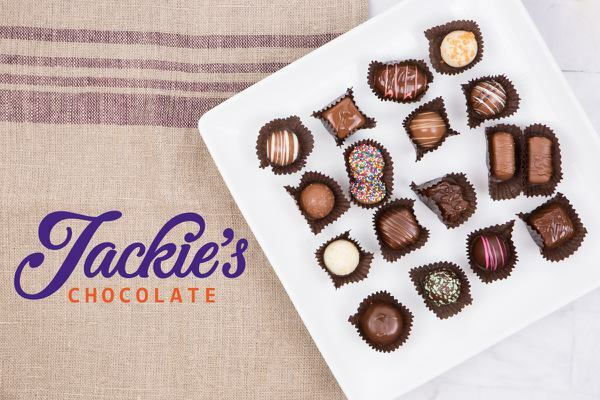 Enter your email address below to receive a notification when Jackie's Chocolate starts accepting new sign-ups! 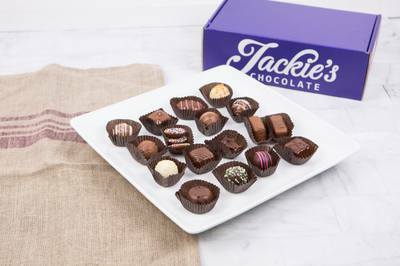 Enter your email address below to receive a notification when Jackie's Chocolate is accepting new sign-ups again. Renewing subscriptions ship the last week of each month. FOR GIFTS: Include the gift recipient's email and a gift message. Include YOUR name so they'll know who to thank! 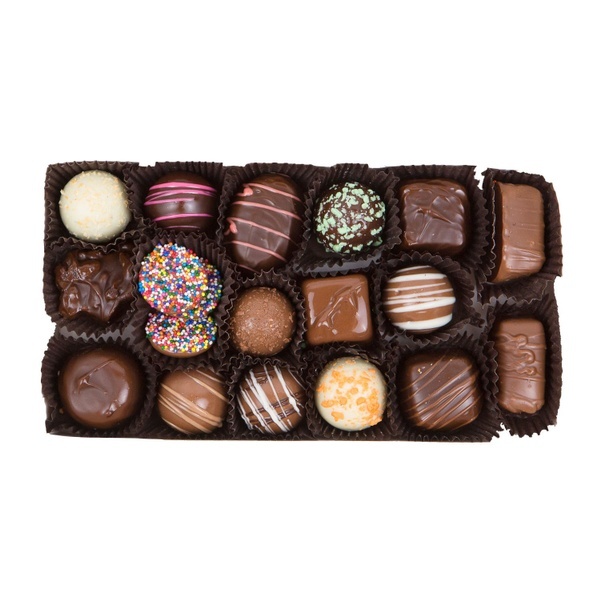 Indulge in creamy truffles, chewy caramels and crunchy nuts enrobed in milk, dark and white chocolate. 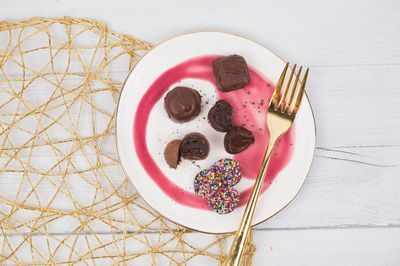 Discover new chocolates each month! Choose the perfect size: - 1/2 lb (perfect for individuals) - 1 lb (great for sharing) - 3 lbs (enough for the whole family or office). Try month-to-month or save big with our annual subscriptions. Makes a great gift for family, friends, clients and co-workers. Everybody loves chocolate! ❄️Carefully packaged to arrive cool and fresh. 💰Save BIG on annual subscriptions. 🎁 Include a free gift message. Just ordered a six-month subscription for my mom's birthday. So far so good. My mother lives sweets and I really wanted to get her something different, so when I came across a subscription of chocolates I knew I had the right gift. Each month my mother texted me to tell me how amazing the chocolates were. I chose Jackie's based on others' reviews and it seemed fairly priced compared to some of the others. My mother told me they were some of the best chocolates she has ever had. Ordered a 12-month pre-paid subscription as a gift in November 2018. To date (April 2019) the recipient has only received one shipment in January. I did verify with my account page to make sure the order wasn't stolen, and it too only shows one shipment in January. Jackie's Chocolate has no contact information available on their website, or the My Account page. I sent them a message over Facebook and have yet to hear back. 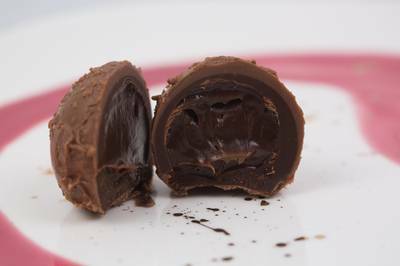 I will give them until the end of today to return my message, otherwise I will contact my credit card to reverse charges for a contract not honored, and will report Jackie's Chocolate to BBB. Jackie's Chocolate was quick to respond via Facebook. They stated that Cratejoy had marked the delivery address as "invalid" and then shared a google map view that is over a year old. I verified the address and asked then why was one shipment delivered, and confirmed on the site by USPS link, but then marked "invalid". No answer to that, but I was told they would confirm to Cratejoy that the address is valid. I got the year subscription for my dad for Christmas! He loves it! The chocolates arrive very well packaged and they look amazing! I was looking for an experience gift for my parents for Christmas last year rather than stuff since they can and do buy whatever they want. My mom is a chocolate lover and my dad pretends not to be but eats just as much as she does so this seemed like the perfect gift. They have really enjoyed the couple of boxes they have received so far and everything has been in perfect condition when it arrives at their door which I was worried about with chocolate. 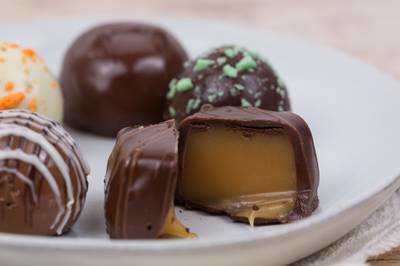 Love the sea salt dark chocolate caramels! 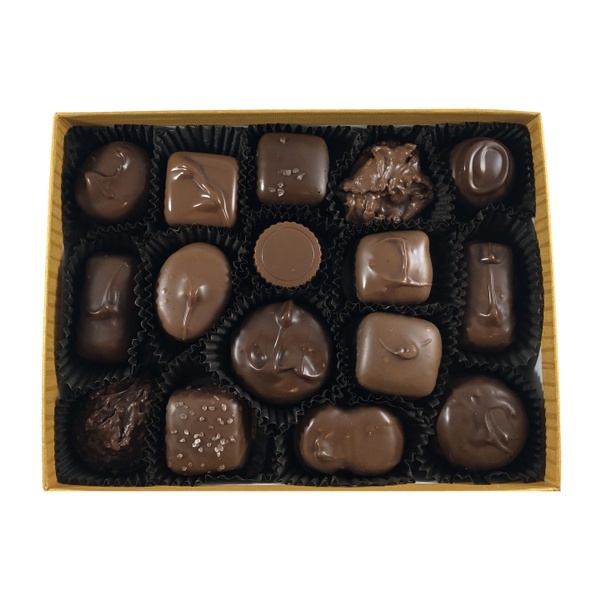 We got this box for our parents for Christmas- they are true chocolate lovers and they have really enjoyed it! The boxes were timely, beautiful and delicious! We finally hit a winner! Got a 3 month subscription for my wife. Chocolates arrived semi melted (we live in Texas, though) but were incredible. 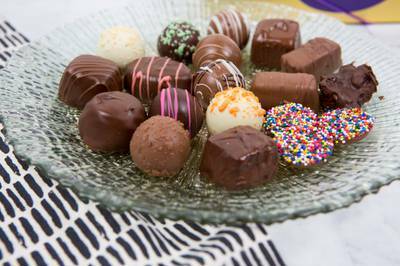 Some of the better truffles and chocolates I have had! I got this for my mom as a gift. She loved the chocolates and packaging! Great chocolate and really impressive customer service. 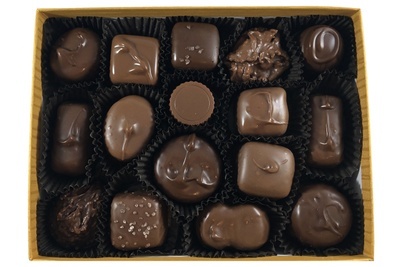 I've used Jackie's Chocolates as gifts and for myself and they've been great every time. 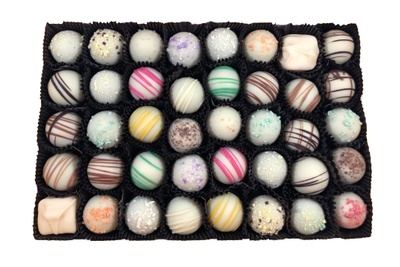 A scrumptious assortment of chewy caramels, creamy truffles and delectable nonpareils. 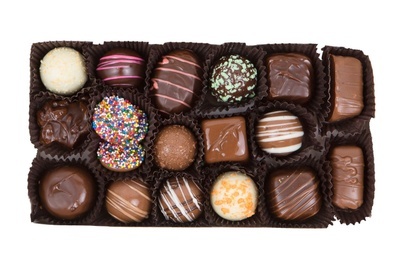 Brighten someone's day with a chocolate gift. 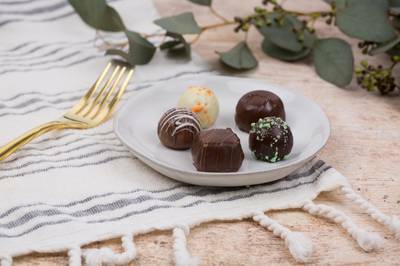 Our chocolate truffles are infused with such mouth-watering flavors such as sea salt caramel, tangy key lime and aged vanilla rum. 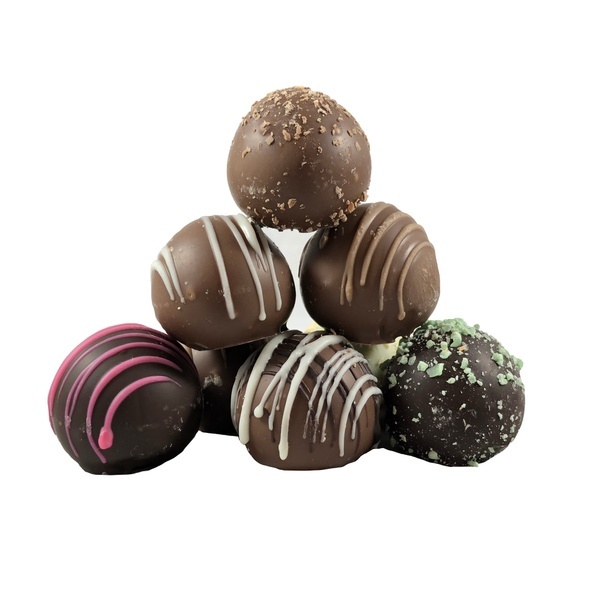 Buttercreams, sweet fruits, rich mocha and smooth butterscotch - all layered in a waterfall of milk and dark chocolate.